1. 15 Cereal Combinations that Will Change the World. I don't eat cereal all that often anymore, but this list had me hankering for a big bowl of cereal. I've very intrigued by the golden grahams / cinnamon toast crunch combo mentioned...! 2. St. Louisans, looking for something to do one of these weekends? Head out to West Tyson County Park. From here you can access a number of trails. On Memorial Day, Ryan and I spent a few hours hiking the Chubb Trail (railroad crossing on the trail pictured above). It's a 6.5 mile linear route, but we did about half of it until it got too muddy to continue. The terrain was hilly and we managed to encounter a few different adventures along the way: a big (6 ft long!) snake on the trail and a bit of time spent lost (typical for us). I recommend going early in the day before it gets too hot, even though its mostly shaded! 3. The Easter Bunny (ahem, my mom) brought Ryan and I some Girl and the Goat Marinade and Saute Sauce this year. 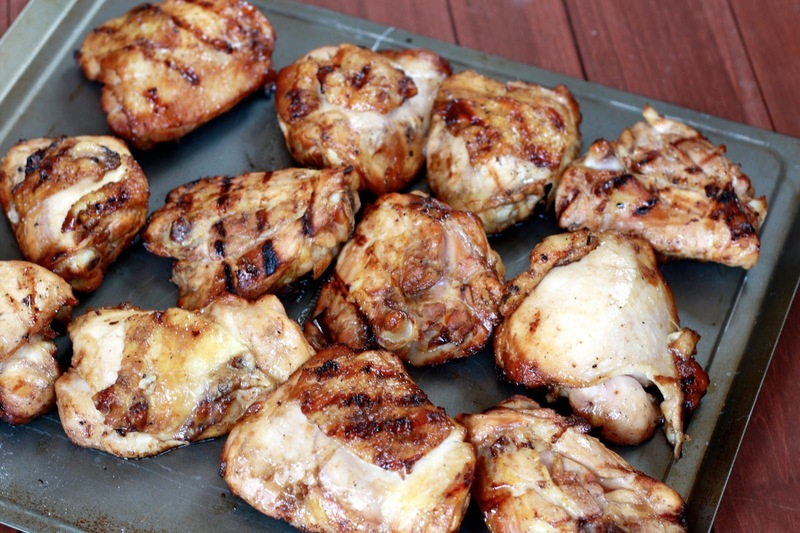 We finally used the marinade on some chicken thighs and it came as no surprise that the stuff was excellent, but wow did it impress us. It's currently sold out online but if you find yourself in Chicago, make sure you hit up Girl and the Goat (or Stephanie Izard's new place, Little Goat Diner) for a meal followed by a shopping trip to pick up some of this stuff. We have some left and I can't wait to use it on some pork tenderloin or even vegetables. SO GOOD! 4. Speaking of the grill, have you always been wary of grilling veggie burgers? I usually stick to grilling them indoors on the stovetop, because there's always the chance they'll crumble when I flip them and I'd rather eat the pieces than watch them fall through the cracks of the grill. My friend Paige brilliantly mentioned grilling them on a piece of foil to prevent their demise. 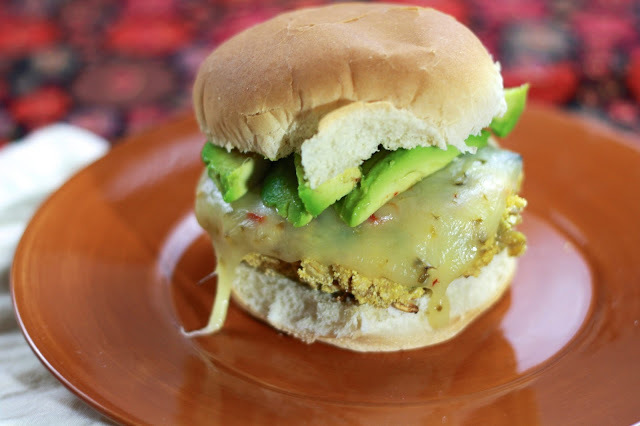 We tried it with the Zesty White Bean Burgers and it worked! They take a bit longer to heat up, but it's worth it...and if you haven't tried those yet, you must! They're still my favorite bean burger to date.